In July of 1984, the home videogame division of Atari was purchased by Jack Tramiel. Although the Atari 7800 was ready to go, licensing negotiations had to begin again because the Tramiels did not agree with some of the existing arrangements negotiated by Ray Kassar. It was around this time that the videogame market crashed, and retailers cut orders for videogames across the board. By the end of 1984, the industry was left with only Atari, Coleco, and Mattel turning out new product for their old systems, with no new console on the horizon. Atari spent the next two years working out the details, and the 7800 was finally ready to go in 1986. 1986 is also the year Nintendo decided to bring their successful Famicom console over to the United States, even though the videogame market is shaky. It's a smash hit. The NES sells like hotcakes wherever it is available, and Atari takes notice. Tramiel and Atari continue with the release of the 7800, but it was a very sloppy effort. Only three games were initially released with the console, and it received very poor distribution. 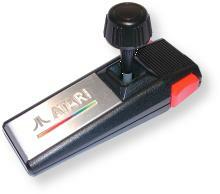 Retailers were wary of Atari making announcements and not following through. True to form, Atari announced a number of additional titles that never made it to stores. The Atari 7800 was barely a blip on the videogame market. Graphically, the 7800 was an excellent machine for its time, rivaling and even surpassing the NES and Sega Master System in some respects. Its weak point was sound, since it utilizes the same old sound chip from the 2600. Programmers got around this limitation however, by adding the 5200's POKEY sound chip directly to certain cartridges. Arcade ports for the system were excellent, but it just didn't have the marketing behind it to overcome the Nintendo juggernaut. The system is indeed compatible with almost 100% of the existing Atari 2600 game library, and all the existing 2600 controllers and peripherals are compatible as well. The 7800 was also sold with its own special Proline controllers, meant to be an improvement over the 5200 design. They feature two independently functioning buttons, but the elongated design does not prove very comfortable or advantageous for gameplay. For years, the 7800 has been ignored because of a perceived small library of games, and the popularity of other Atari systems. However, there are almost 60 titles available for it, many of them are very good. For the budding classic game collector, it's an excellent system to collect for because many of the titles can be found still in the box without too much difficulty. 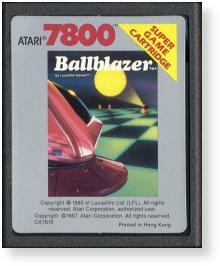 Only a few 7800 titles are very rare, and none would be considered unattainable to the average collector. Elsewhere in the world, the 7800 had a bit more success. Systems sold outside North America included Asteroids built-in to the OS ROM, making it an interesting item for American collectors. In Australia and New Zealand, it included a 32-in-1 cartridge, although it was just a re-labeled 2600 version. Still, this is another interesting collectible that North American collectors won't find at the local flea market. Interestingly, very few prototypes have turned up for this system over the years, compared with the dozens that have been found for the 2600. It was only recently emulated, and no new games have been written for the system like they have for virtually every other classic system. Truly, the 7800 has been sadly overlooked not only in the original market, but also by the collector and hobbyist community. Hopefully, the 7800 will gain some more fans and maybe we will see a new game for the system, giving this underdog a second chance.